The festival, which is organised by the Great Orchestra of Christmas Charity Foundation, received positive feedback regarding medical and first aid facilities planned for this year's edition of the event. The plans for medical and first aid facilities available to the festival-goers should be approved by the medical officials. Chairman of the company responsible for running the municipal hospital in the town of Kostrzyn nad Odrą declared that the project of medical facilities, suggested by the promoters of the festival is satisfactory and is compliant will all legal requirements. 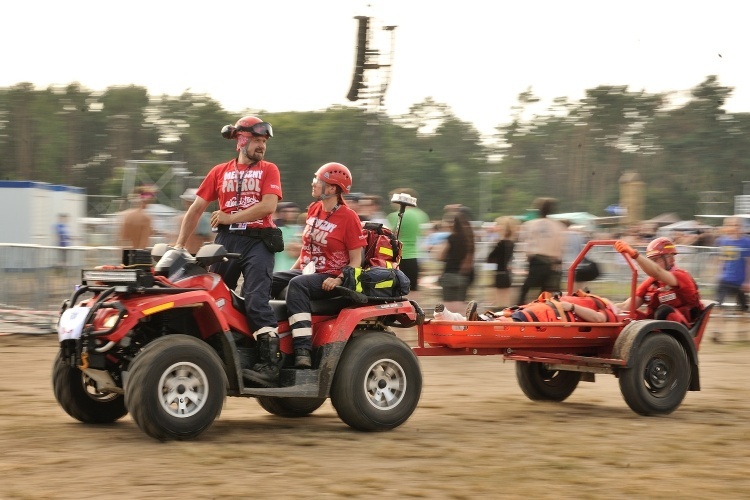 It is our goal to go above and beyond in order to ensure that the guests of the festival can enjoy their time at Pol'and'Rock and, consequently the measures we take to provide medical and first aid help at the festival greatly exceed those required by law. Our team of medical experts considers the size and scope of the festival in order to provide all festival-goers with medical and first aid help. The promoters of the festival rely on a team of committed and qualified medical staff, who have state-of-the-art equipment at their disposal. The results of the last listing of the second stage of the musical competition are in! Check which bands are still competing for the brass statuette. You can now make your booking for this year's TOI CAMP festival campsite. Make sure to book in advance, because the number of spaces is limited and demand, on the other hand, is huge!